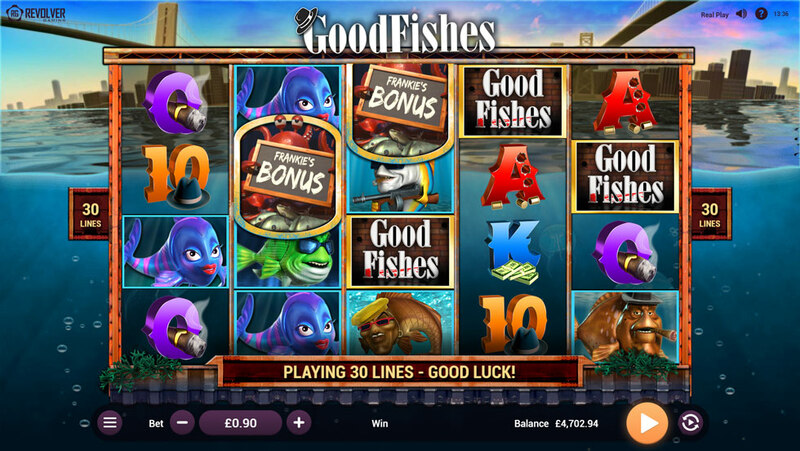 GoodFishes™ | Revolver Gaming - 3D Slots & Social Casino game creators! 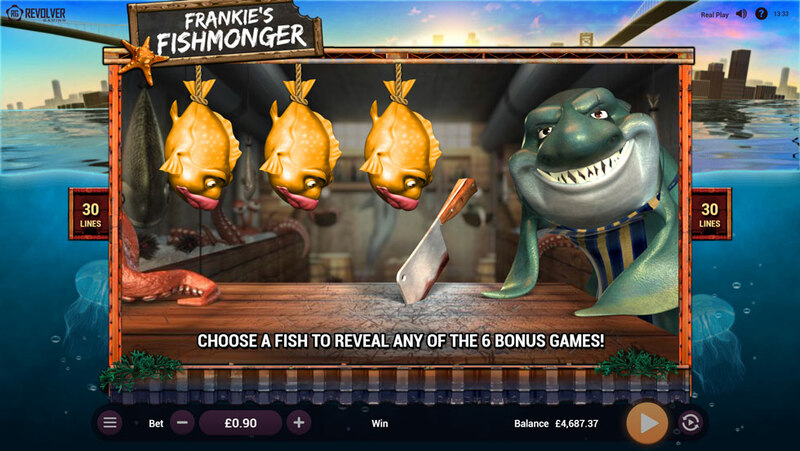 ‘GoodFishes™’ is a video slot parody based on the most famous gangster film of the 90’s! In cinema quality 3D, the character-filled world of disorganized crime in the big city is the setting, and the twist is, they don’t have to worry about ‘sleeping wid da fishes’ because they already are fish! 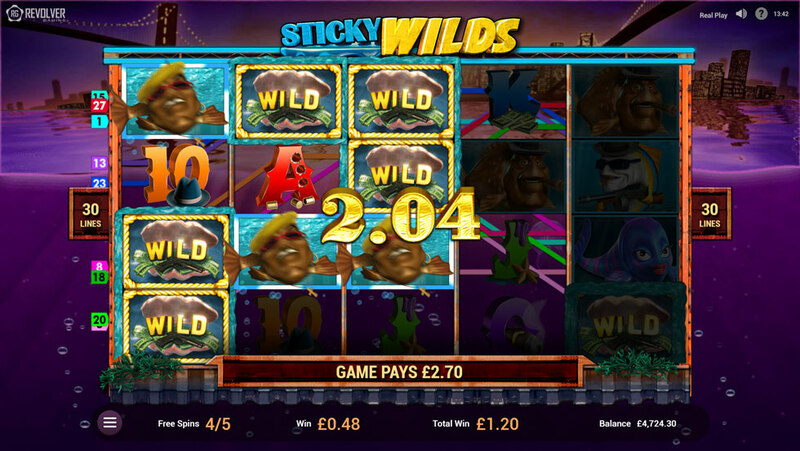 GoodFishes™ is a medium to high volatility game featuring clumping Wilds and a bonus event that awards one of 6 x different Free Spins bonus games making for exciting game play and Massive Wins!! 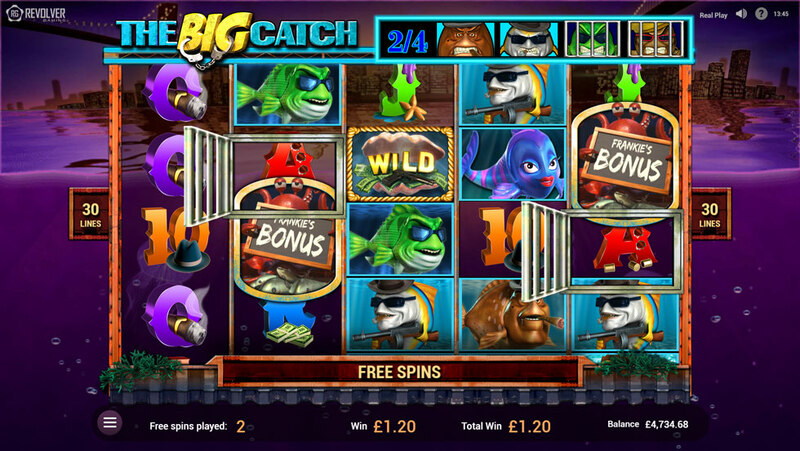 Crafted to the highest specifications and optimized for true cross-platform compatibility, GoodFishes™ provides players with hours of uninterrupted FUN!